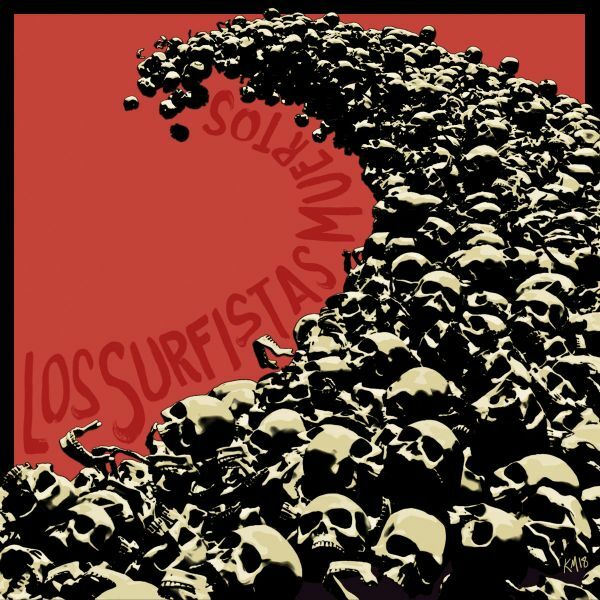 The debut album of Los Surfistas Muertos wastes no time getting to business, launching into mean, buzzy guitars within five seconds -- delayed only by a “muahahaha”. This opener is just a surface-scratch of what’s inside, though, with even their other loud songs outclassing that level of noise. When you first hear the guitars kick in on “Redacted” there’s definitely a little bit of a “whoa”, with the thickness of that distortion approaching noise-rock levels. That song teases that sound throughout and every time it’s just as gratifying. Those heavy songs are simply a blast, with overbearing riffs and a rock-steady drum beat (that seriously pushed my pace when I listened while running). There’s a definite noise/post rock influence going, notably during a certain mid-way spot in “March of the Plague Doctors”, but some of the riffs and drum beats employed leave little doubt of their surf leanings. Of course, these heavy songs are only half of the story, with the other half of the songs taking a slower, desolate feel with the fuzz taking a break and the bass stepping forward in a big way. These songs are welcome, particularly to bring the album together mood-wise, but they didn’t grab me like the heavy ones. “El Escorpion” flexes some of that post-rock influence a bit more, likely able to masquerade as a Mogwai piece presented on its own, which might even be said for “Heavy Ending” which is a marriage of the two styles demonstrated on the album. This is a band that seems somewhat ordinary on a cursory listen, but reveals a lot more going on with every spin, and I found myself pulled back a few times. Free on bandcamp.